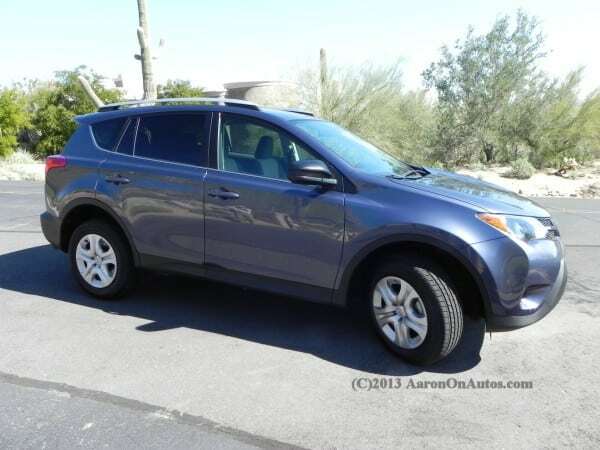 An unusually fun drive for this market segment and at this price point, the 2013 Toyota RAV4 is a great combination of value, premium standards, and versatility all combined into a fuel efficient and sporty package. The all-new RAV4 has gone through some big changes for this fourth-generation offering of this most popular of compact sport utilities. Now being called a “crossover-SUV,” the RAV4 sees its rear spare tire mounting removed (it’s now under the cargo area) and some downsizing in its overall size. 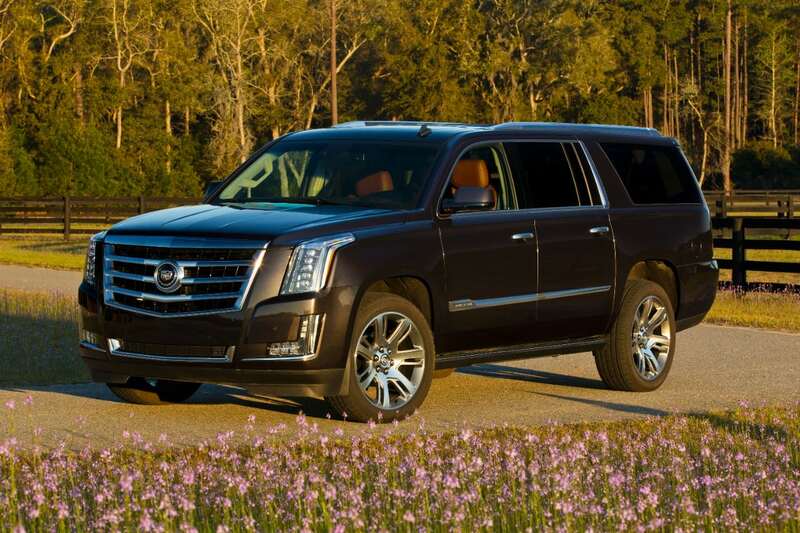 That smaller size, however, does not mean less space in the cabin and it still offers comfortable seating for five. Most of the new styling cues are modernized to give both a sportier, more contemporary look to the SUV of choice for small families as well as aid in improved aerodynamics and handling. Side-by-side with the previous generation, the new 2013 Toyota RAV4 is much more sporty and loses the last of the “boxy” look its parents held. The wheelbase remains at 104.7″ and the track gains about half an inch front and rear while curb weight also rises to 3,435 pounds in the base model thanks to additional safety and other features. Fuel tank capacity is still just shy of 16 gallons. A new, adjustable power liftgate (replacing the previous swing-out rear door) is standard on the Limited trim. For practicality, it’s a great addition. Although the new roof height means less headroom (an inch lost), the seating and ergonomics mean that even a tall person like myself (I am 6’3″) sits comfortably in all but the center of the second row. Leg room is slightly more cramped in the rear seating, but actually gains up front by almost an inch. Much of the improved interior feel comes thanks to changes in the cabin arrangement that allow for more shoulder room and very well-fitted bucket seats in front. 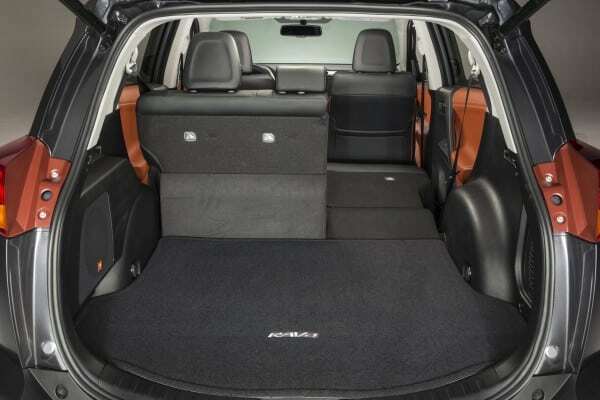 Cargo volume is also increased, now at about 2 inches better behind that second row for a total volume of 38.4 cubic feet (class-leading 73.4 cubic feet with rear seats folded). That’s enough for just about everything the average small family of four would carry around daily or even on fast weekend trips. To complement all of this, Toyota has also gone with a much more premium interior look than would be suggested by the low entry price of just over $23,000 for this crossover. Even the base model LE has a dual-tone dashboard and door panels along with small flair-touches for the shifter knob and steering wheel. The Limited model feels like a much more expensive model than its $27,000 or so price tag would suggest and the dual-tone Terra Cotta surfaces (pictured above) are brilliant in this top-end model. 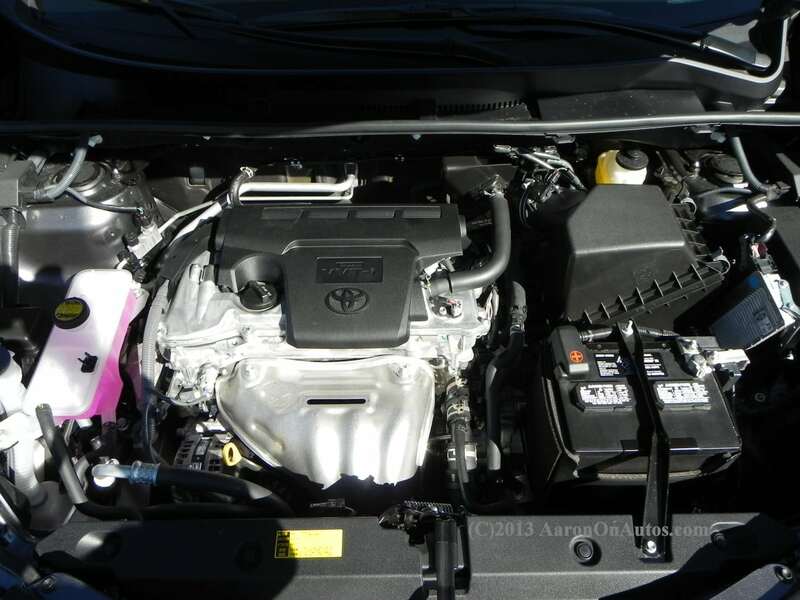 Many things are standard in the 2013 Toyota RAV4, including the soft-touch interior accents mentioned. 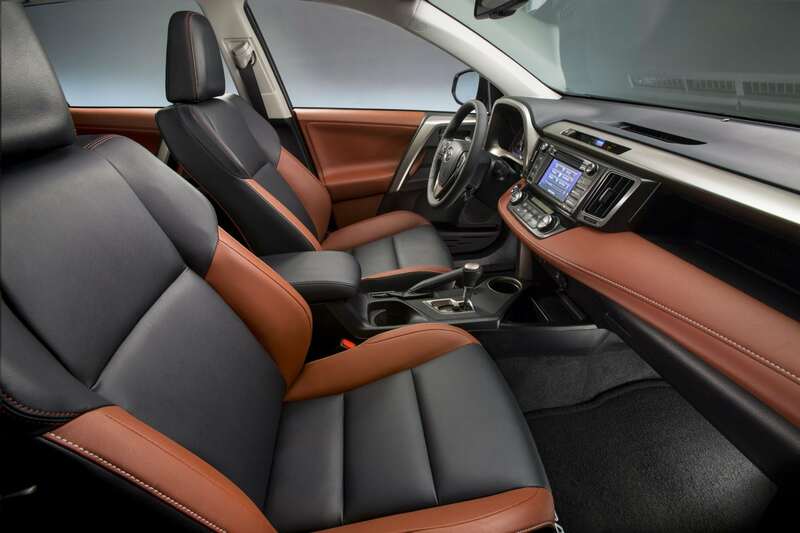 Whether you go with the fabric seating of the LE and XLE models or the Softex-trimmed seating of the Limited model, you’ll be comfortable in the new RAV4. Display Audio is also standard across the board with options in the XLE and Limited models adding Navigation, Entune, satellite radio, and improved speaker systems. The standard 6-speaker, 6-location system sounds great thanks to the acoustic noise-dampening windshield (standard on all models) and the softer interior with fewer reflective surfaces for the sound. Things only get better with the upgraded sound and the 11-speaker JBL GreenEdge system in the Limited is beautifully tuned. The 6.1-inch Display Audio screen also doubles as the display for the backup camera (standard on all models). 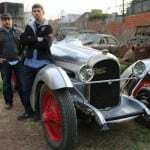 The engine is a 2.5-liter, 4-cylinder dual overhead cam (DOHC) with Dual VVT-i on all models. This delivers 176 horsepower at 6,000 rpm and 172 lb-ft of torque at 4,100 rpm. That means a 0-60 mph time of 8.9 seconds. This new, all-aluminum engine is compact and efficient, putting out more than enough power for what the segment demands. Toyota discontinued the 6-cylinder engine in the RAV4 as it rarely sold and those who wanted it are usually better suited to a larger SUV. The transmission is a 6-speed ECT-I with a flex-start torque converter and upshift/downshift control. It’s lighter, more compact, and offers two more gears than the previous generation, which improves economy. Those are improvements of 2 mpg overall. The Standard Star Safety System includes the usual suite of goodness like Vehicle Stability Control (VSC), Anti-lock Braking (ABS), Smart Stop, Brake Assist, Electronic Brake-force Distribution, and Traction Control. Inside, 8 standard airbags include a driver knee airbag, a front passenger seat cushion airbag, driver and front passenger seat-mounted airbags, and roll-sensing side curtain airbags for all passengers. Front-wheel drive (FWD) models have an Automatic Limited-Slip Differential standard and all-wheel-drive (AWD) – an option on all models for about $1,400 – includes Dynamic Torque Control. A suite of exterior safety options are also available, including Blind Spot Monitor (Limited only). In our test drives, we took out a Limited, XLE, LE and a previous-generation 2012 model for comparison. 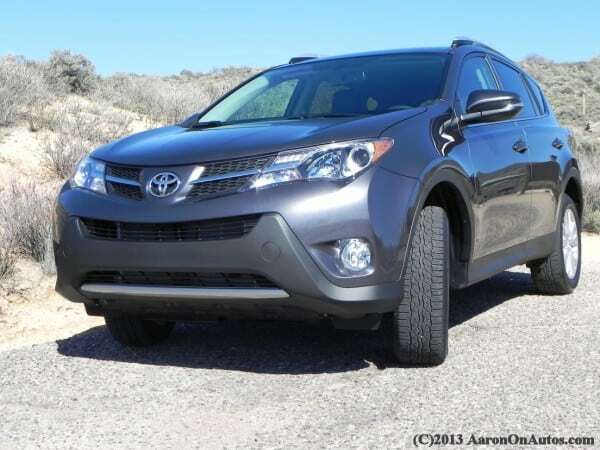 All of the 2013 Toyota RAV4 models performed very well and are much-improved over the outgoing generation. Handling is superb across the board and the top-heavy feeling of previous generations is entirely gone. The engine is responsive in Sport mode and not overly sluggish in Eco mode (modes are standard in all trims). Of course, Eco mode still leaves a lot of the fuel savings up to the driver, acting merely to dampen accelerator input slightly and lower air conditioning output. In city driving, the RAV4 offers great visibility and on winding roads and residential areas, it’s a good mover. Acceleration in Sport mode is much more marked than it was in the previous generation, despite the smaller engine (no more V6) and better fuel economy. Interior comfort is of extremely high standard, far outpacing the expected interior setup this segment usually offers. The soft-touch accents and dual-tone coloring really make a difference. The gauge layout is excellent, even for someone tall who’s used to having his view blocked. Outside, the powder-coated steel wheels on the base trim look premium while the split-spoke alloys on the Limited model are a great match for the RAV4’s new look. 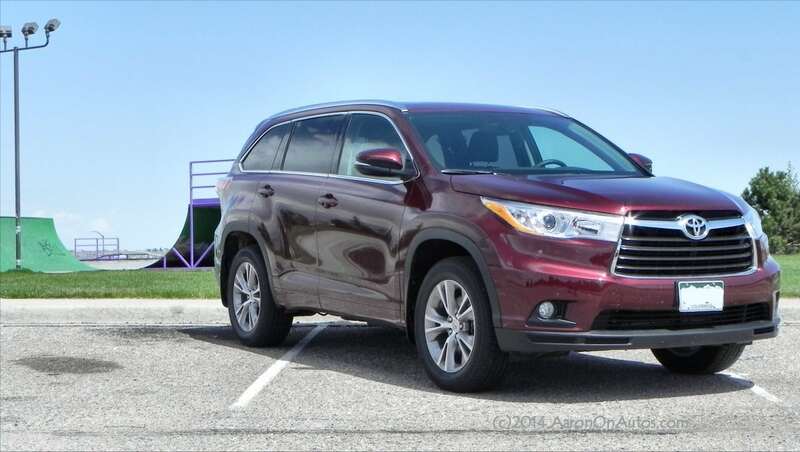 Key competition for the 2013 Toyota RAV4 is the Ford Escape and the Kia Sportage along with several similar-sized, “entry-level” models for this small SUV segment. The Escape is a good vehicle, having a refresh last year, and now including the class-leading fuel economy of the EcoBoost engine. The Sportage is overdue for a new look, but still has Kia’s signature style which competes well against the new RAV4. Top standards for this segment, over-delivering on the premium look and feel without jacking up the price. Very smooth, comfortable and quiet, and possibly the best in this class for these attributes right now. Design is nice and sporty, but not really a “wow”. A non-car-nut friend called it “blah.” Better than it was, but not better than most others in this segment. Loss of an inch in clearance and roofline may mean some buyers will be turned off (even though 90% of RAV4 owners in the past never left the road). Overall, the 2013 RAV4 is an extremely competitive entry into this market made up of some of the most competitive vehicles on the road. Toyota virtually pioneered the small crossover-SUV with the RAV4 back in the 1990s, but since then, it’s become one of the best-selling segments in the U.S. With this new generation and its high-end look and feel, though, Toyota may have itself a winner with right-priced options and trims for the market. Vehicle was test-driven at a Toyota-sponsored event in the Phoenix, Arizona area. All expenses were paid by Toyota, including room, board and meals, but test driving was without Toyota supervision unless requested. Most of our drives did not include a Toyota representative or marketing/PR person on-board. Total time in all Toyota RAV4 models was about four hours.